Summer patios should be all about bold colours and traditional favourites with a new twist…so allow us to introduce the spectacular Dahlia LaBella® Maggiore collection. 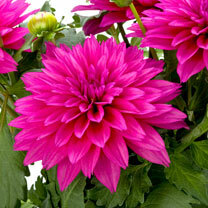 Sturdy and compact, these Dahlias are right on trend – and the best part is they’re lower maintenance than taller varieties – hurrah! 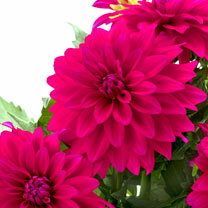 These bright, colourful Dahlias are super-sized, and they flower earlier so you can enjoy them right into the autumn. The stems are long enough to snip if you want to pinch a few to enjoy indoors, and at 3 for 2 you can mix and match those brilliant colours and create your perfect outdoor space. 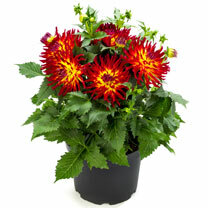 But 2 and get the 3rd free on our 2 litre potted Dahlia collection, perfect for instant colour this summer. 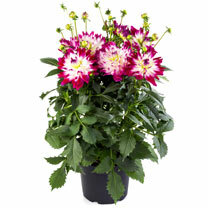 Buy 2 and get the 3rd free on all products from our 2 Litre Dahlias range.